What incredible characters and adventures has Nintendo given us! Mario Bros, Pokemon and Gameboy. If you’ve become a little nostalgic, this collection of Nintendo merchandise will help you reminisce. These products represent a wide range of Nintendo videogames and characters, from the very old to the latest. 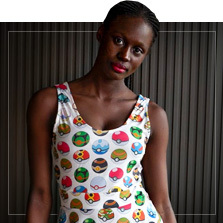 Find the perfect gift, or treat yourself to some clothing or an accessory featuring your favorite game or character. We have the most original and fun Mario Bros gifts and Pokemon merchandise. There are countless options to choose from. 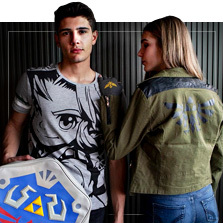 T-shirts, backpacks, caps, socks, lamps, necklaces, keyrings, mugs, toys or journals from the most emblematic sagas like Zelda or from the very Gameboy consoles we’ve dedicated so many hours to. Also, find products featuring the Nintendo logo. Find the ideal product and surprise your friends with an original and fun gift! Includes: Mario Bros 25-cm figure. Plush and plastic texture. Press his head and watch him move! Four AAA batteries included. Includes: Yoshi 27-cm stuffed toy. Includes: Green T-shirt with pattern on the front. 100% cotton. Includes: green backpack with pattern on the front, spacious inside compartment, pocket on the outside with zip and 2 adjustable straps. - 70% polyester and 30% PU. Includes: Metallic keychain with Luigi design. 100% zinc alloy. Includes: red cap with embroidery on the front and curved visor. Includes: green backpack with pattern all over the bag, spacious inside compartment, pocket on the outside with zip and 2 adjustable straps. 100% polyester. Includes: red T-Shirt with blue overalls pattern. 100% cotton. 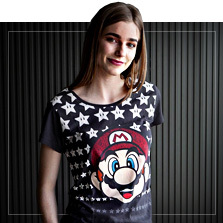 Includes: grey beanie hat with embroidery of various figures and super Mario logo. 100% acrylic. 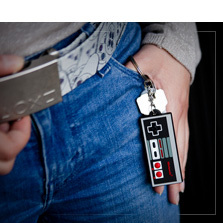 Nintendo merchandise for videogame fans. In this collection of Nintendo merchandise, you’ll find plenty of options for a unique and fun gift, perfect for videogame fans. Search for a specific videogame or character, or browse our selection of products featuring Nintendo logos or epic Gameboy prints. Pikachu t-shirts, Zelda accessories and Mario Bros keyrings are some of the products you’ll find in this collection of Nintendo gifts. Surprise any videogame fan!